Let’s talk holiday decor trends. Plaid is often a fall and winter decor go-to; however, this season, rather than heavy tartans, try patterns of gingham. 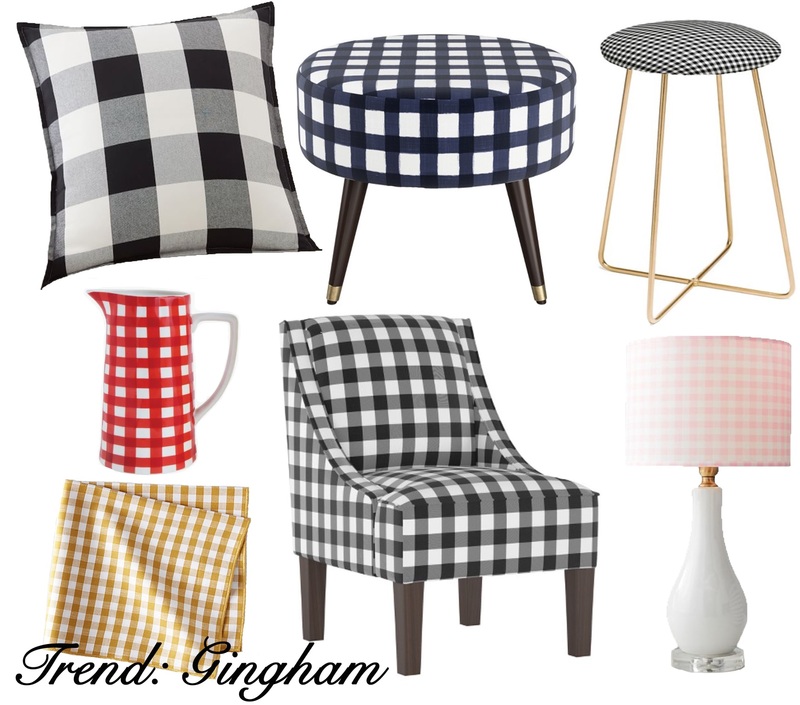 Whether spring, summer or winter, gingham has been a major trend this year, from home décor to fashion. That’s why we’re exploring a fresh new take on this typically traditional aesthetic just in time for the holiday season. With gingham available in trending colors it’s easier than ever to mix and match the pattern into your current décor to create modern, cozy vibes at home for fall. Colors like mustard yellow and Millennial pink gingham offer contemporary takes on this pattern. Pairing the fabric with accents like brass metals, as you can see from our mood board, or lucite help blend this once-traditional pattern with more modern styles. 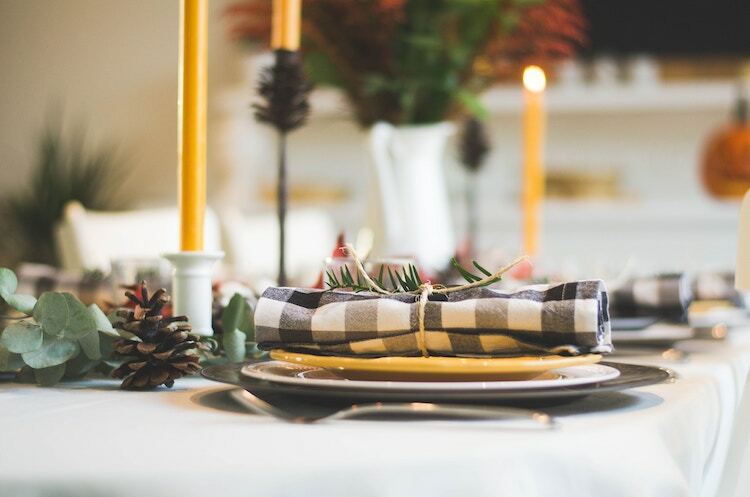 Maybe you’re incorporating gingham into your kitchen or holiday serving pieces this season; it’s an easy way to achieve a modern farmhouse look. For example, adding the pattern through cloth napkins, pitchers, or plates, can have a big impact. To help you tie your space’s entire look together, we’ve put together a Dunn-Edwards Paints palette to match these various hues of gingham: Black Tie DE6357, Old Mill DEA185, Striking Red DEA103, Woven Gold DE5425 and Pink Sparkle DE5084. 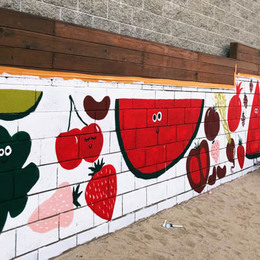 So whether you’re planning an accent wall or are inspired give the entire room a dose of color like Jason Lai of L2 Interiors, we’ve got you covered. These colors can also easily be paired with neutrals like: White Picket Fence DET648, Gray Pearl DEC795 and Desert Gray DEC760. So go ahead and get your fall décor going. 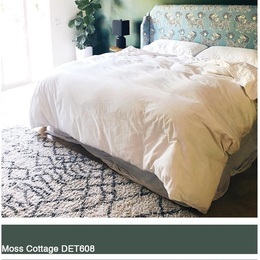 Just download our InstaColor® app and with a click, you can upload a photo from your personal library or or one from ours, to give the space an instant paint job. 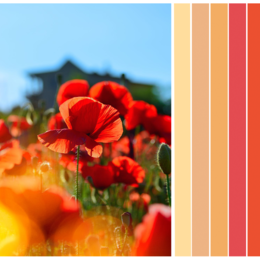 You can also order color samples to ensure you pick the perfect fall colors for you. 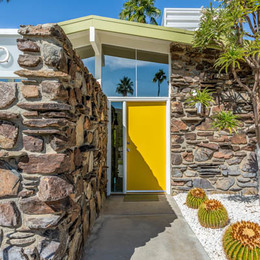 And if you’re for some more modern takes on fall, check out these 3 Unexpected Color Palettes to Feast On.